Currently ranked 4th in the nation. Onward, upward. Game pitch (field) location for home games can be found on our "Locations" page. All kick-offs are scheduled for 12 Noon CST (unless otherwise noted). team-related events, send a text to (812) 774-8488. 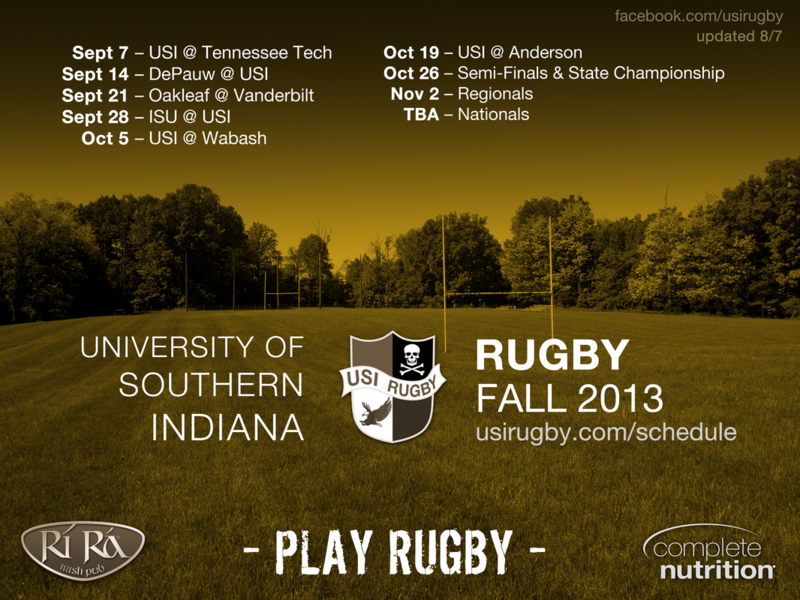 Calendar includes both USI events and Rugby events. Use the "Filter" to change which categories show. Rugby categories under "Filter" are either "Practice" or "Games."